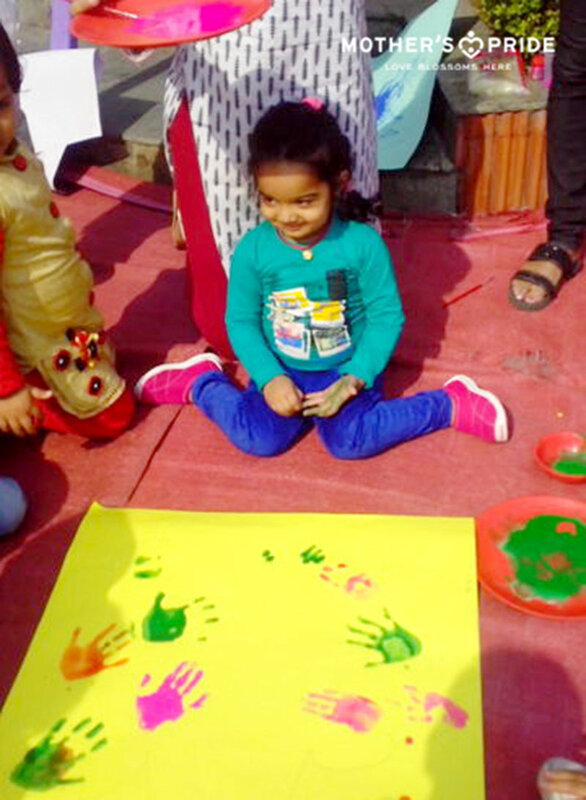 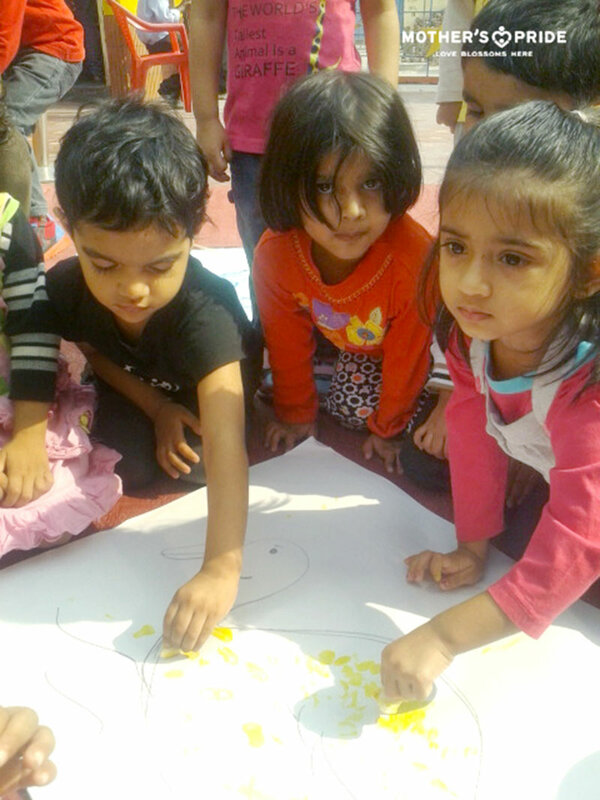 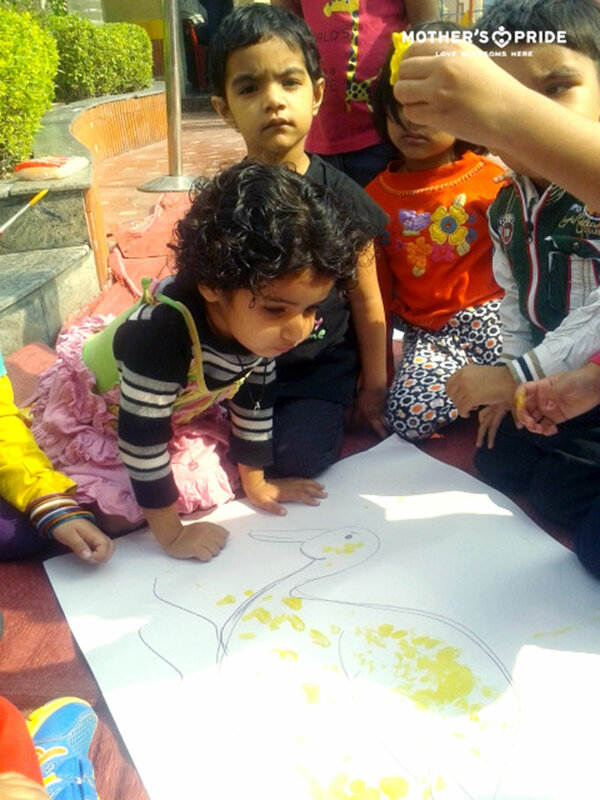 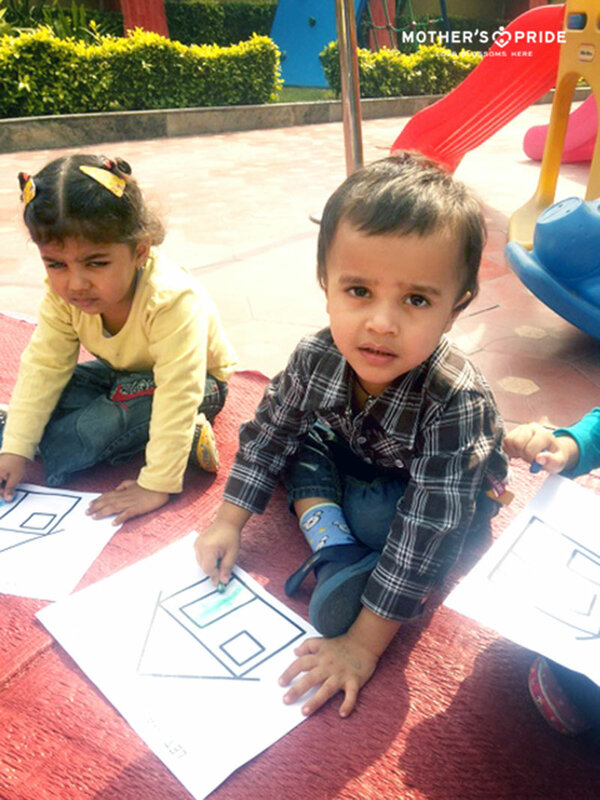 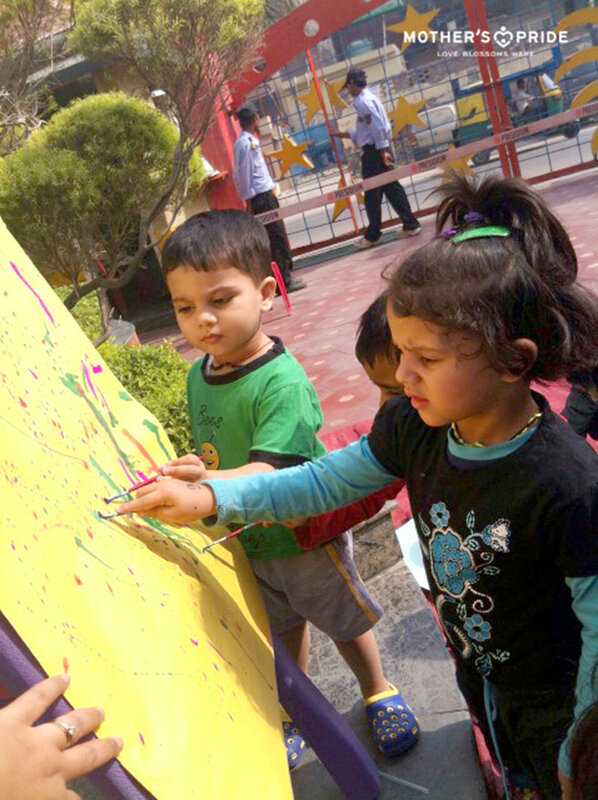 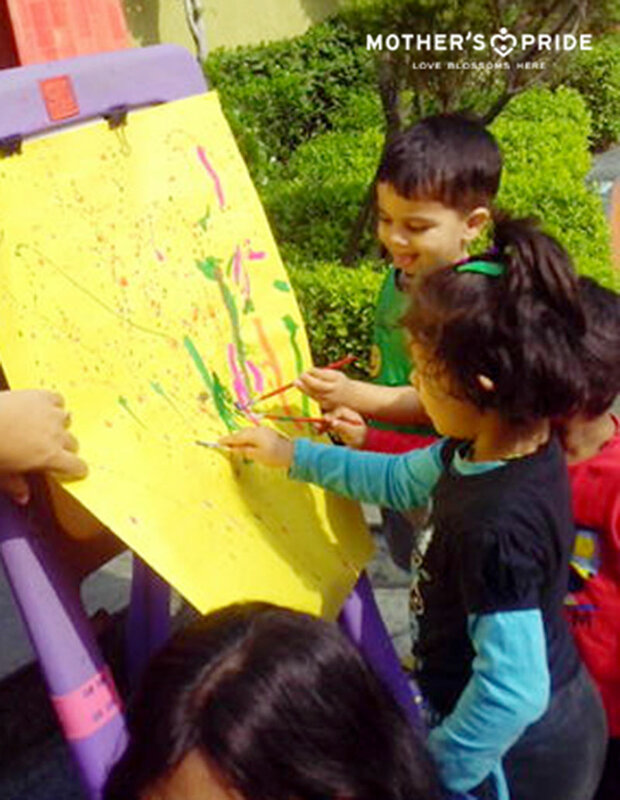 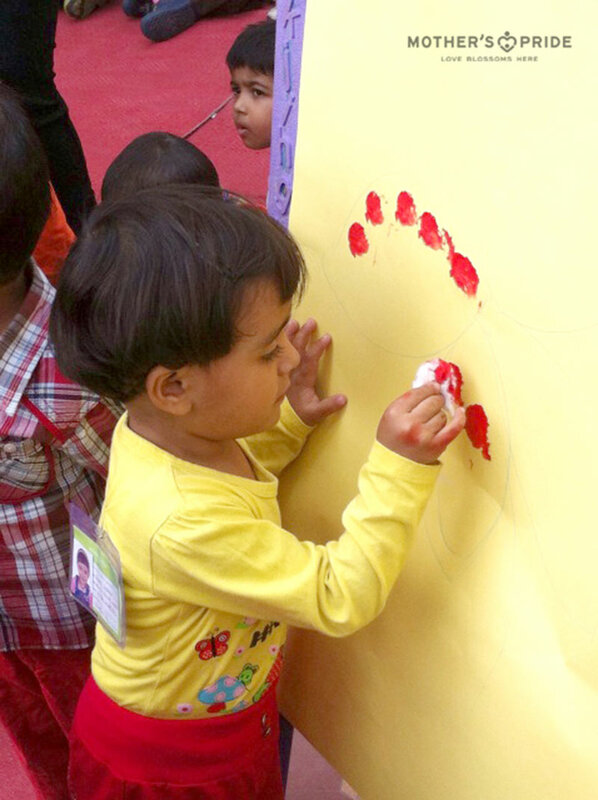 To develop creative expression in children; an activity named Fun with Colors was organized for developing creativity in children through scribbling , coloring , thumb printing , hand impressions, straw blowing , free hand drawing etc. 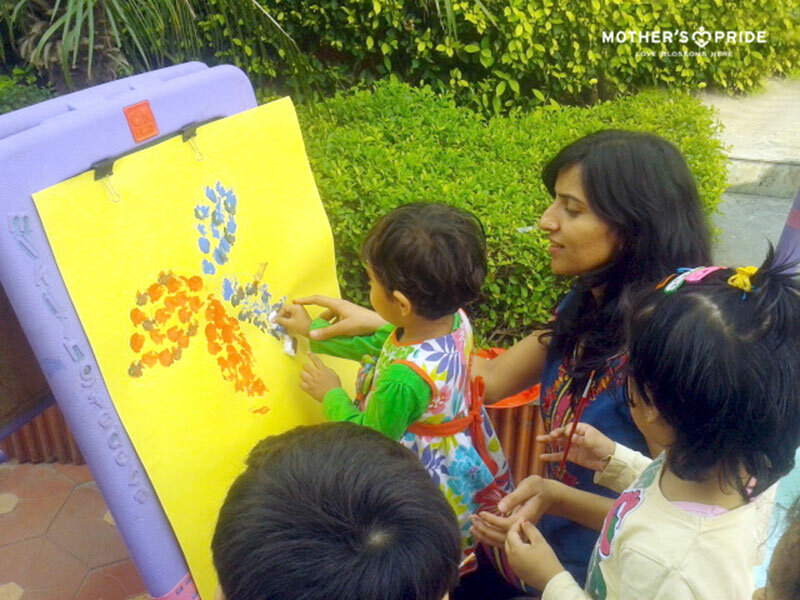 The set-up was done in the garden area, under the warm yellow sunshine of winter surrounded with greenery. 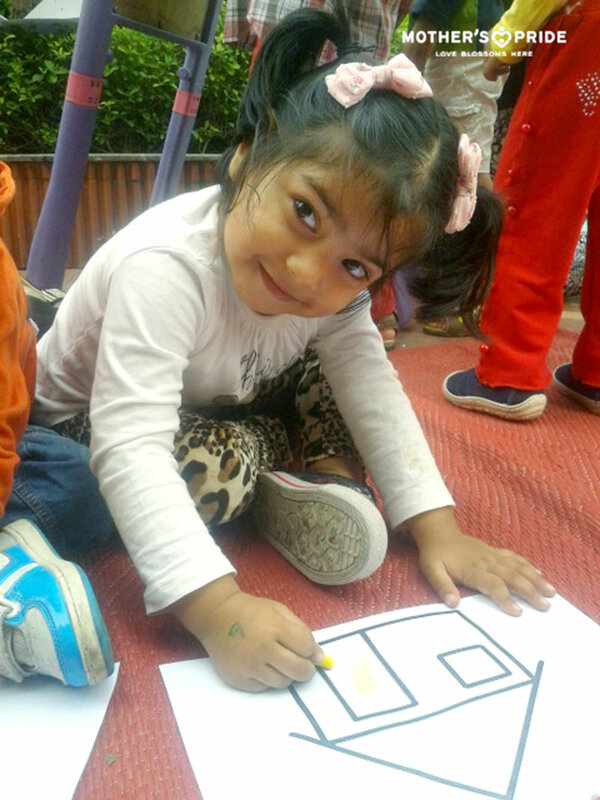 Children enjoyed the open environment and the same was reflecting in their sheets too. 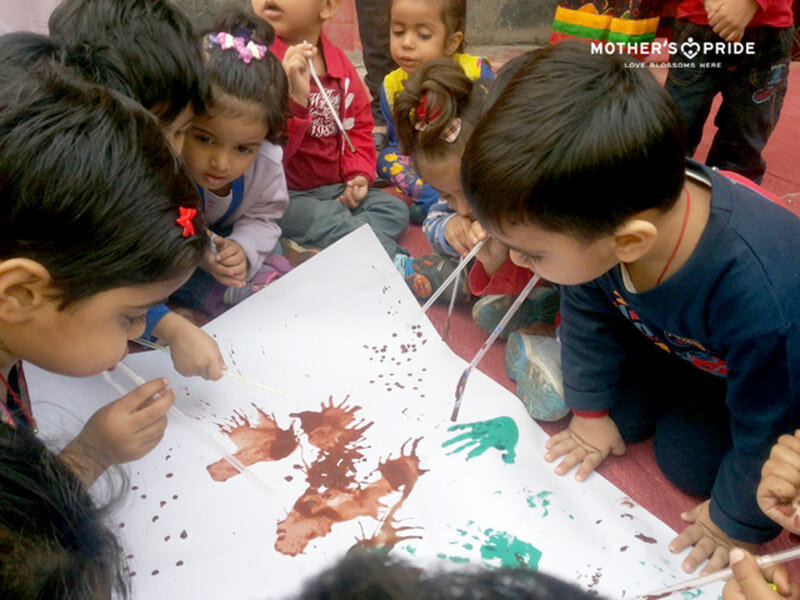 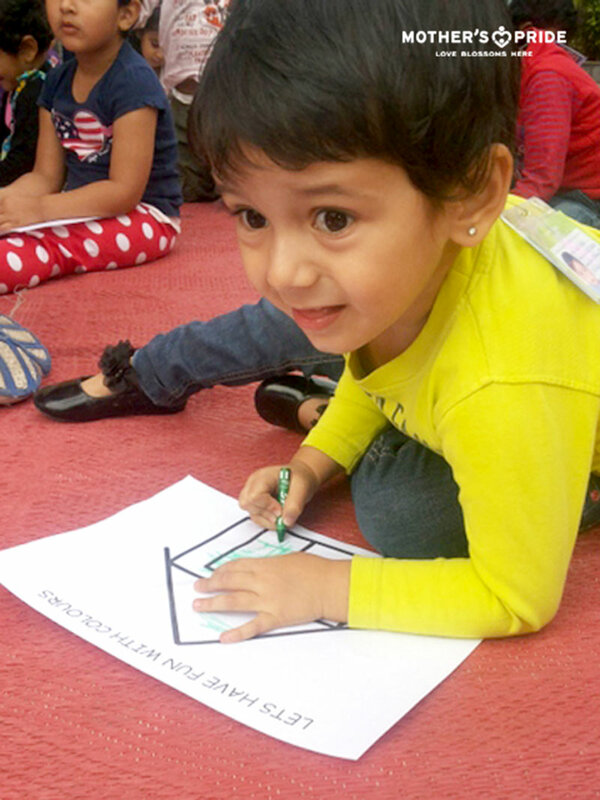 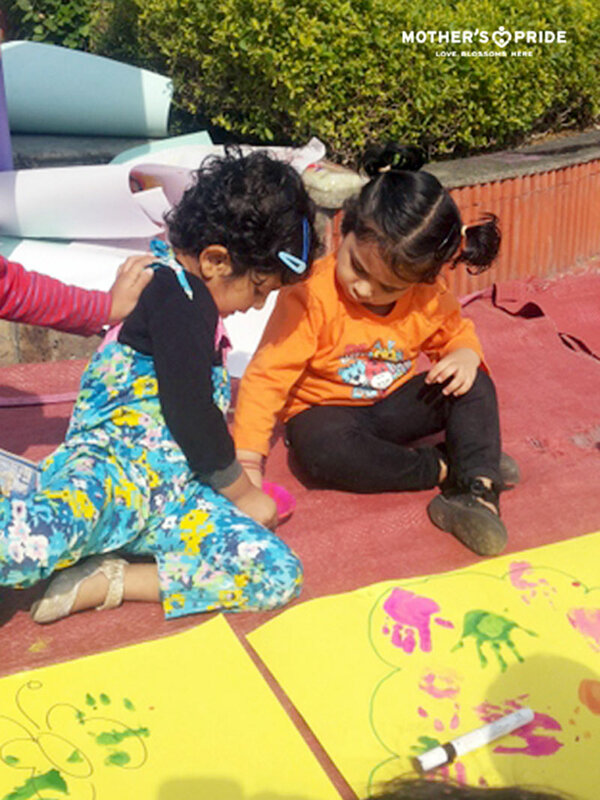 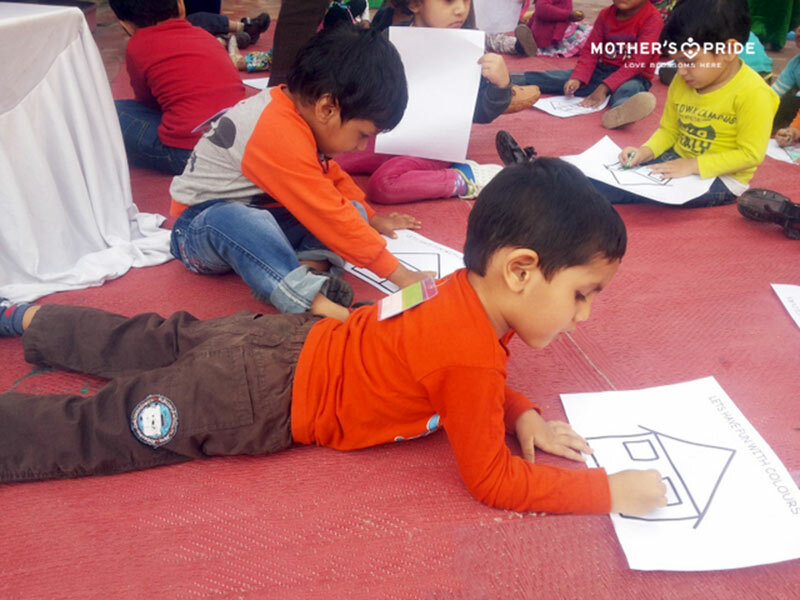 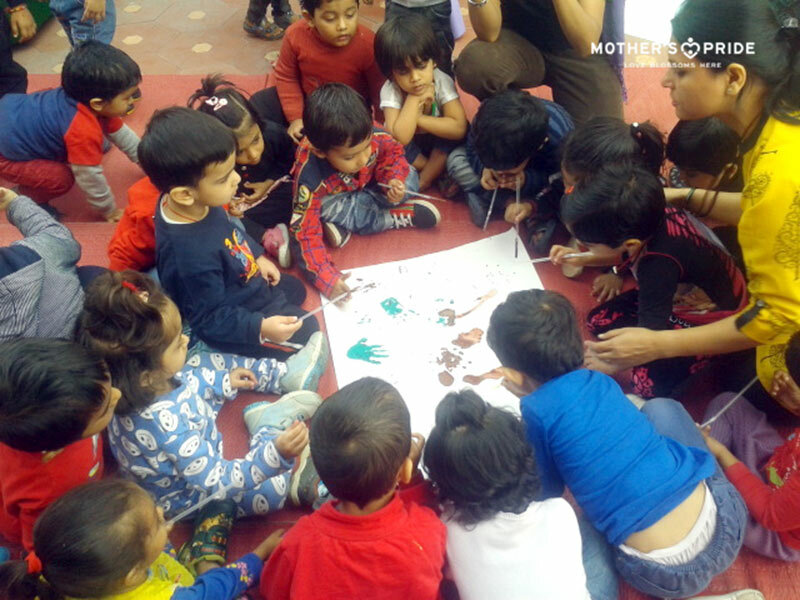 They were also engaged in group activities where they were provided with pastel colors, water colors, crayons, color pencils, easel boards etc. 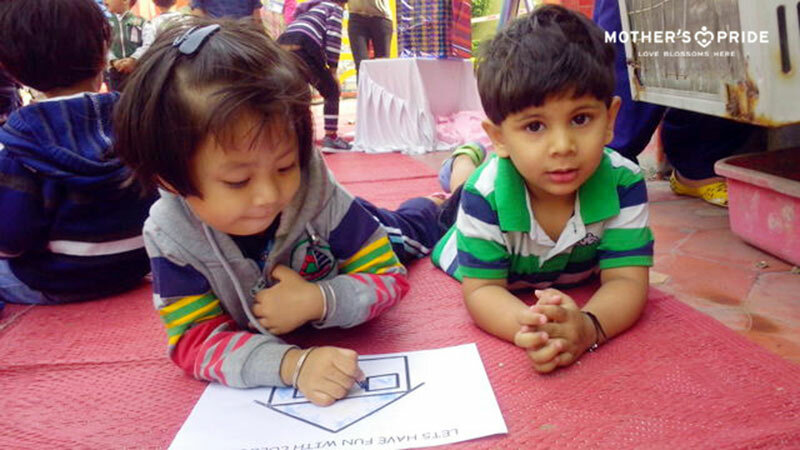 to express their thoughts. 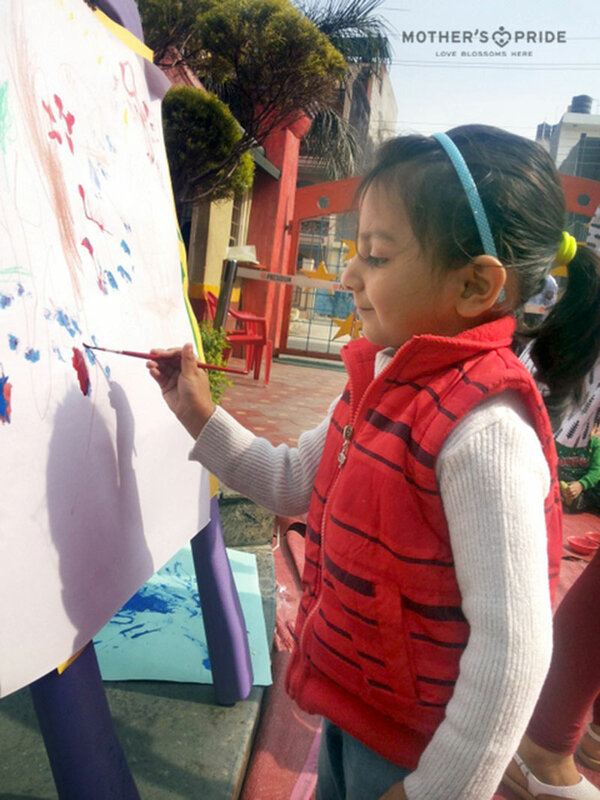 The teachers encouraged children to recognize the color, to make choices of what color they wanted and encouraged them to share their thoughts about their drawings. 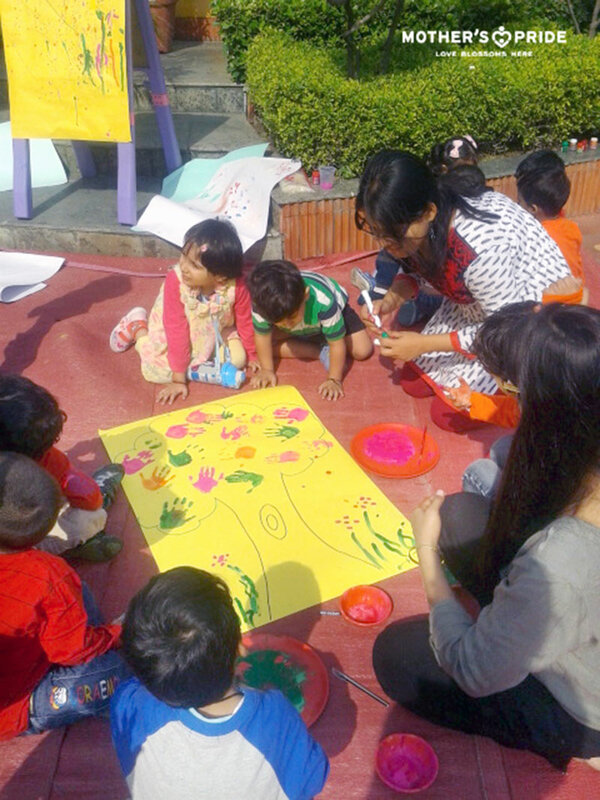 It was a “fun with colors” day and an integrated activity that helped develop the concepts of color, creative expression, self-esteem (while they make choices) and social interaction among children.